← Data Customization & Privacy: Coexisting? I had this conversation last evening as we were wrapping up the Neustar booth for the day. If I was starting a company today, why would I ever buy any capitalized equipment? We decided that with a credit card we could have walked the floor and purchased everything we needed for our hypothetical startup. Everything we needed is available as SaaS or PaaS or whatever aaS you like. I don’t have to buy iron, expensive client-side software or anything to get going or even run my new business at scale. Brilliant and great for the innovative people we’re seeing at SxSW this week. Bad for the Oracle’s, etc of the world, however. But what happens when you build your great new application, the world flocks to your door and then you run afoul of the vandals at Anonymous? Your wonderful new services go bye-bye under the weight of a DDOS attack. So do your users, your revenue stream and your chances of survival. So you had to buy expensive hardware solutions and many gigabytes of capacity, just in case the miscreants decided to come after you. Uh-oh, back to CapEx just to protect yourself from DDOS attacks. Bad use of your cash. Until now. Neustar’s SiteProtect is kind of like insurance against vandalism. For a reasonable price, you can have many gigs of capacity ready to deploy for when the bad guys come after you. Not unlike an insurance policy. And like insurance, it’s not CapEx. And it works. I hope a lot of the things I’ve seen this week have the ability to withstand the inevitable attempts at vandalism they’ll face as they get successful. Full disclosure: I am employed by Neustar. 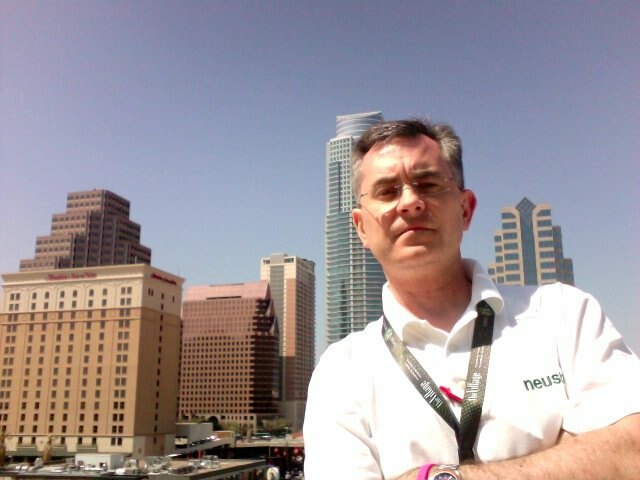 This entry was posted in Leadership, Security, SxSW and tagged DDOS, Neustar, security. Bookmark the permalink.